Stop by our dealership and discover our great offers at St-Georges Chevrolet Pontiac Buick Cadillac GMC. Check out this amazing used Chevrolet Cruze 2014 near Saint-Georges. Inspected and certified by our experienced technicians, the Red model has logged 86358 km. 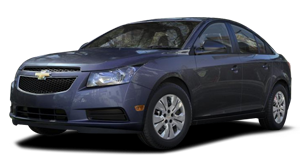 You can buy this pre-owned Chevrolet Cruze 2014 at a great price of $7495. It's a Sedan with 4 doors, Manual transmission and Front wheel drive. This Chevrolet Cruze 2014 is powered by a 1800cc engine that runs on Unleaded fuel. The exterior is Red, while the interior is Black and seats 5 passengers. 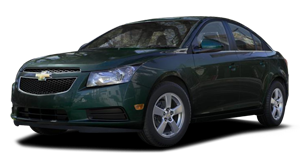 If you'd like to learn more about this used Chevrolet Cruze 2014 for sale in Saint-Georges, don't hesitate to contact us by phone at 418 228-8801 or on our web site at http://www.jwmorin.gmcanada.com. Make the most of your visit at St-Georges Chevrolet Pontiac Buick Cadillac GMC and discover our entire lineup of new and used vehicles. Our expert sales consultants will provide clear and precise answers to all your questions. Don't miss the opportunity to test drive the vehicle you're interested in. We offer financing solutions for all budgets. At St-Georges Chevrolet Pontiac Buick Cadillac GMC near Saint-Georges you will find a vehicle that meets your needs at a great price. And remember that our after-sales service is impeccable. ** CRUZE LS 2014 ** Moteur 1.8L, bas kilométrage, manuelle 6 vitesses, lecteur mp3, vitre et porte électrique et beaucoup plus ... Rapport CarFax disponible. Seulement UN propriétaire. Tous nos véhicules sont inspectés pour vous offrir une expérience d'achat sécuritaire. Livraison partout au Québec. À l'achat de ce véhicule, obtenez la radio SIRIUSXM gratuite pour 3 mois. ** VÉRIFIEZ LA DISPONIBILITÉ ** DE CE VÉHICULE 418-222-9774 (voix ou texto) OU NOTRE NUMÉRO SANS FRAIS 1-844-683-5524 VISITEZ NOTRE SITE WEB AU WWW.MEGACENTRE.NET POUR VOIR LES PROMOTIONS EN COURS ET AUTRES VÉHICULES DISPONIBLES FAITES EN L'ESSAI ROUTIER DÈS AUJOURD'HUI! !